In last few years we had seen so many softwares came up for downloading videos from websites like youtube, google, daily motion,metacafe, veoh, megavideos, vimeo and etc. 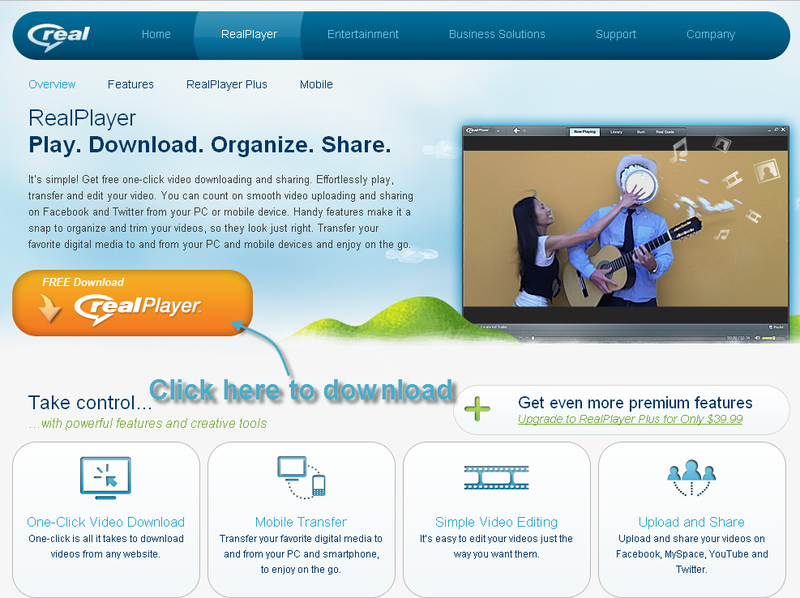 Real player has a great feature called one-click video download from any website mention above. 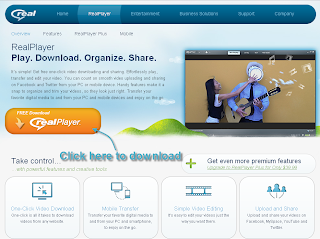 Enjoy downloading your favourite videos from any website by just one-click video download. Just follow the below steps. Step 1: Go to www.real.com website and download Real Player. Step 2: Install real player on you PC. Step 3: Go to www.youtube.com website. 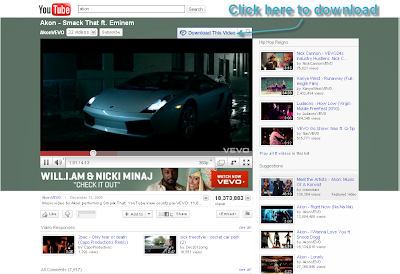 Step 4: Choose your favourite video on youtube and click it. It renders actual video on webpage and then you move your cursor to video player and you can observe a download this video button to the top right corner of video player like shown below. Step 5: Click download button and wait untill it downloads. Step 6: Go to real player library to view that video. That's it! You successfully downloaded your favourite video from youtube. 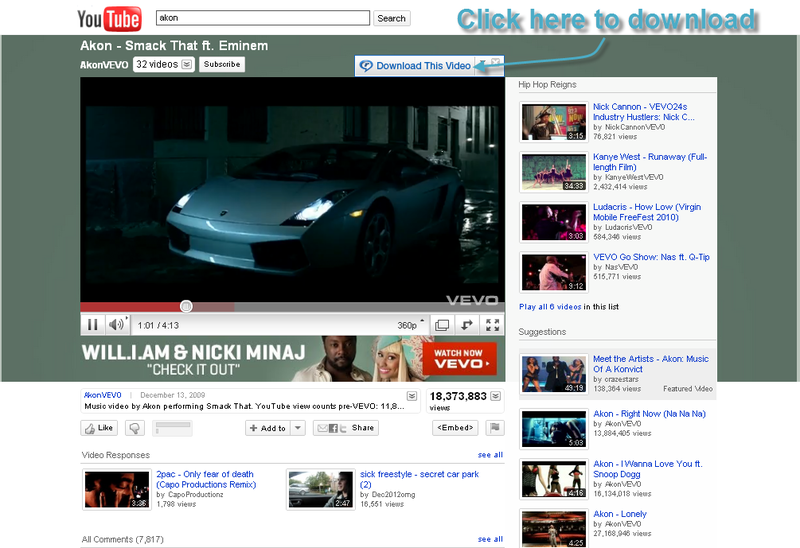 If you have any doubts about " Downloading videos from youtube", please don't hesitate to comment.